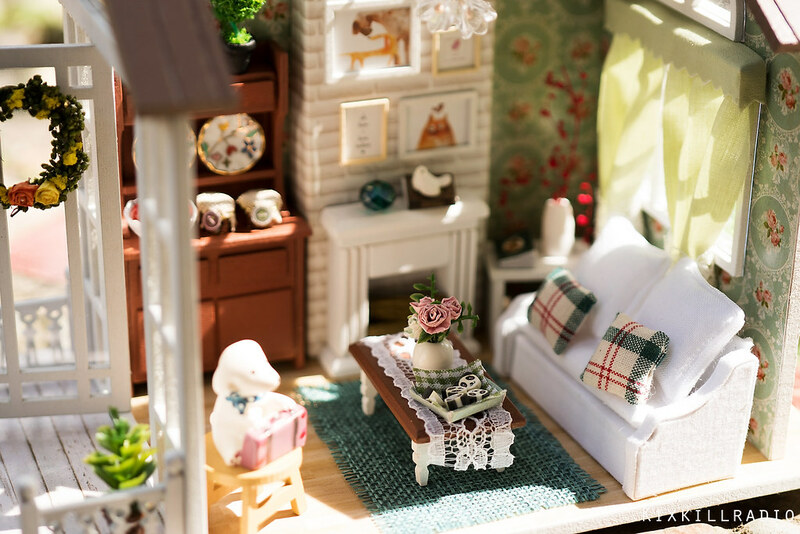 Another cute dollhouse this time from Banggood. They sent this kit by the end of July, but it had been sitting at our customs for a month or so. I received the package late September. 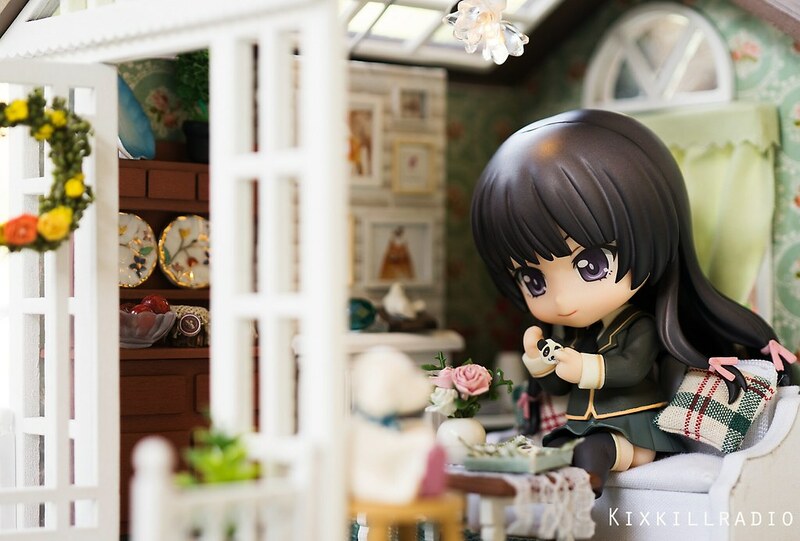 You can buy this dollhouse kit HERE. The dollhouse is easy to build. It’s not that big and it didn’t have a lot of parts. You can actually finish this in one day without re-painting or modification. I would like to thank my brother for helping me out with so many things recently. Even the boyfriend helped me made the firewood. 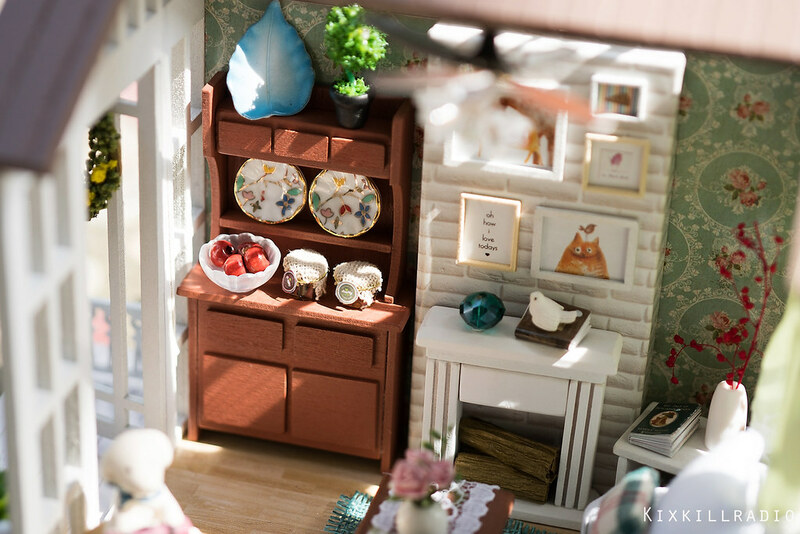 I used off the shelf miniature decors such as the ceramic plates and fruit bowl. I also made paper roses which I learned from the Miniature Greenhouse – Cathy’s Flower House. The great thing about building dollhouse kits, I learn so much in creating miniatures from scratch. It gave me so much idea which I apply to my future projects. 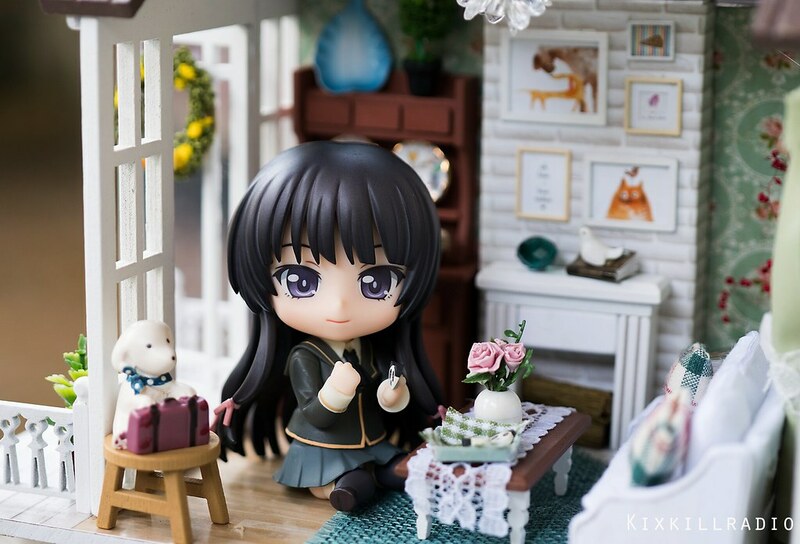 The dollhouse seems a bit small for Cu-poche but it can work with Nendoroid. 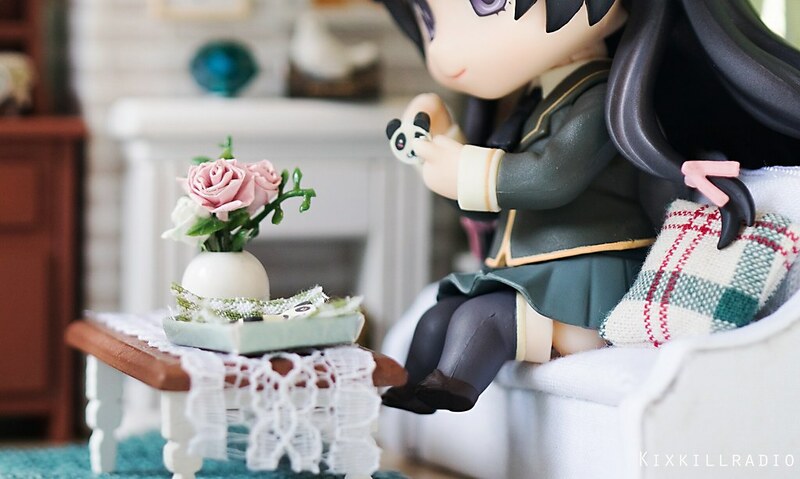 You can see Nendoroid Yozora sitting comfortably in the dollhouse living room. 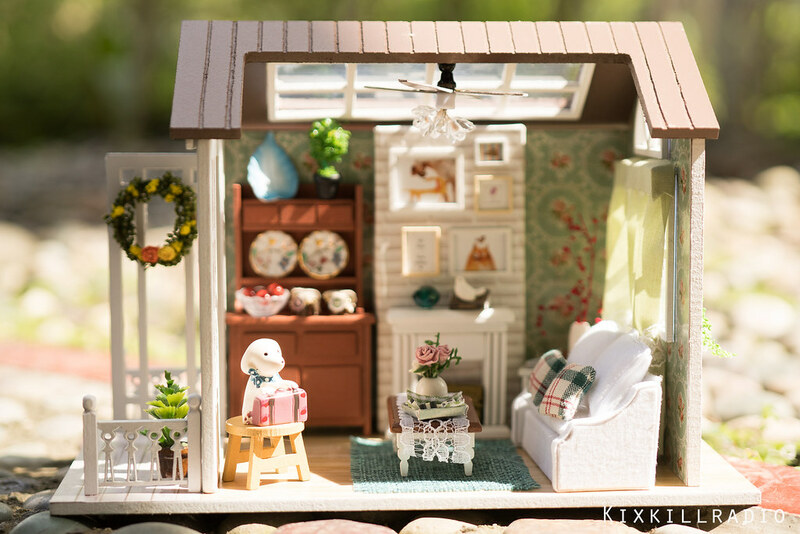 You can use this dollhouse for toy photography purposes. Just look at the right angle and composition. 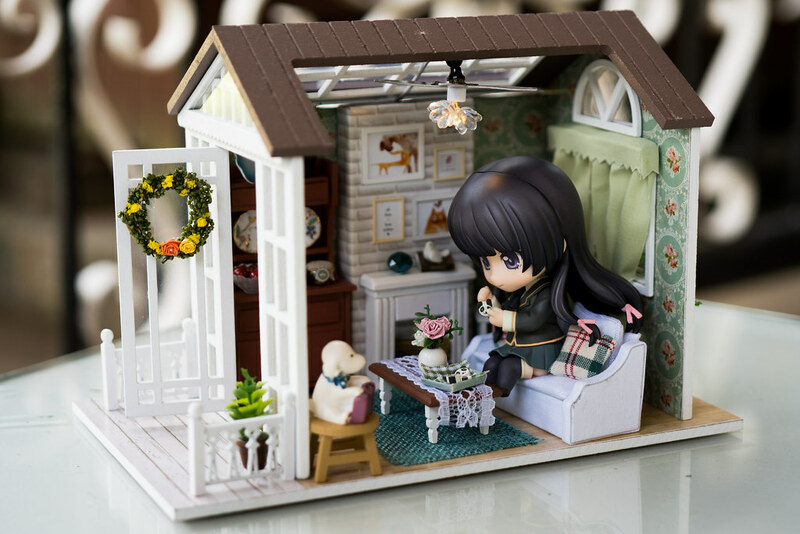 For size reference, here’s a pic of the whole dollhouse with Nendoroid Yozora inside. You have created nice looking decoration for this small room house. 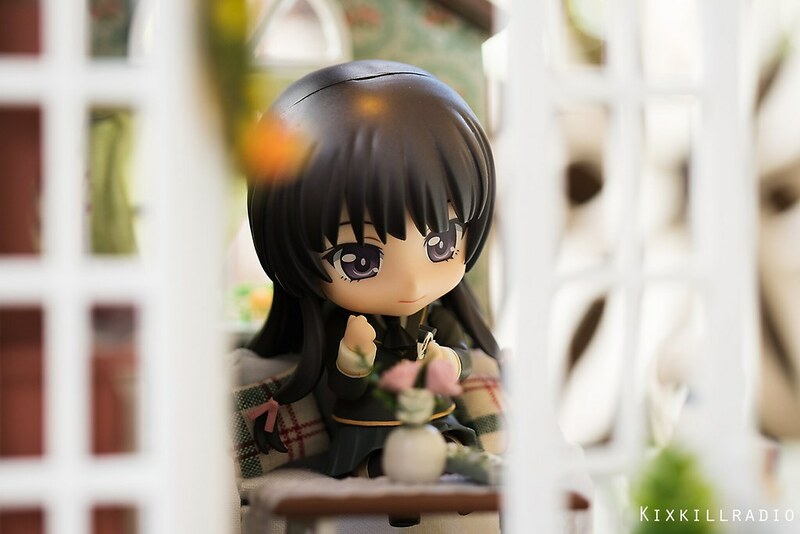 Oh and Yozora ❤♡＾▽＾♡❤ , the “through the window” picture of her is beautiful!